A skilled hand needed here. That digger bucket was dangerously close to my favourite cafe. But I had every faith in the lads. 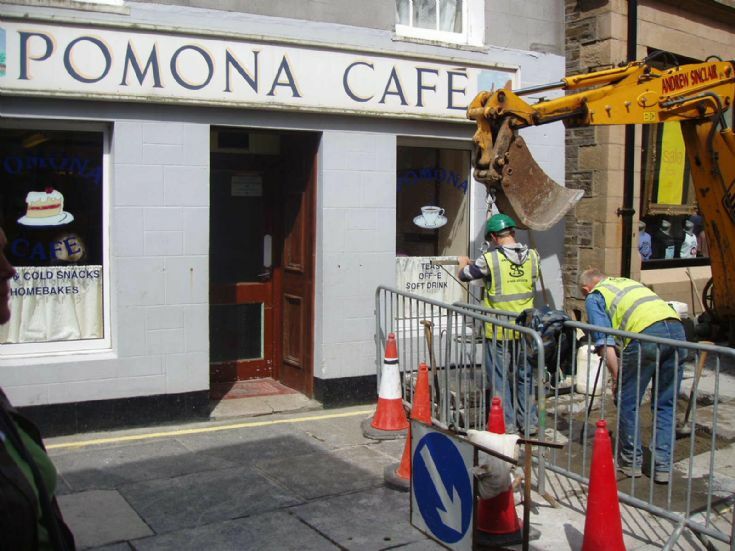 The cafe is still there. The guy with no Safety Helmet has a lot of faith as well. Not so much faith as the man WITHOUT a hard hat. Tut! Tut! He should be ok as he's using a certified lifting point! !